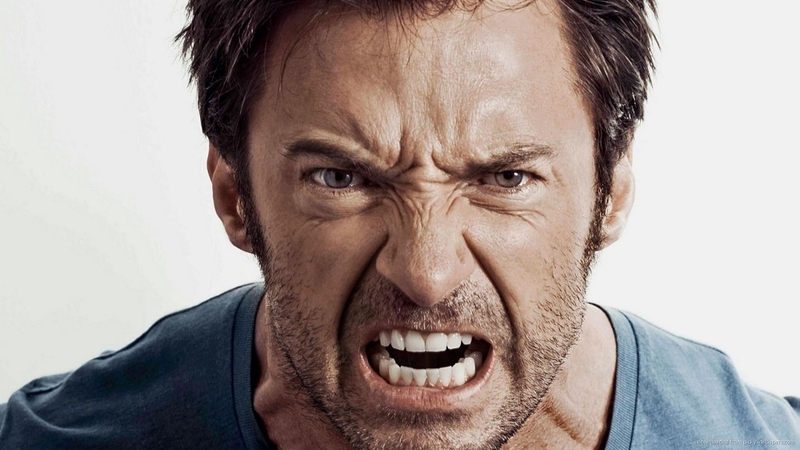 How Can You Stop Feeling Angry? Ah, anger. It always transforms us into a worse version of ourselves, just like the Hulk. Except, we never get to join the Avengers and make new friends – we only end up ruining the relationships that we do have. Most people can control their anger, yet many times, despite wanting to do just that, they are unable to do so simply because they don’t know how. The first step towards not being as angry as you always are is to understand your anger. Does work have you super stressed? Does your husband constantly nag you, making your life miserable? Does the state of politics in your country boil your blood? Sometimes, you can even get angry over something as stupid as the weather – something you know can never be in your control. The next time you get angry, just jot down what makes you angry and, more importantly, why. More often than not it’s a lack of patience or tolerance that ends up making us angry, and we will get to dealing with that soon enough. What are those events, objects, situations or people that instantly make you angry? The first thing you should do is to completely avoid them or at least, keep contact to a minimum. Even anticipating your triggers can instantly lessen your anger. But in case that doesn’t work, you can always try the following tips. And that’s because unlike you, they aren’t emotionally involved and are thus able to view the situation in a balanced manner. Who knows? You might end up realizing that you’re over reacting or that you’re the one who’s at fault. I understand if you’re too shy, awkward or embarrassed to discuss your anger issues, so how about writing it all down? Take out a pen and some paper and write down how you’re feeling, why you’re feeling and what you’d like to do to the person that made you this angry. Expressing your anger in such a manner is encouraged by psychologists, so make sure you do this as often as you can to vent your feelings and make yourself feel better. Yes, it actually works. Breathe in and out slowly 20-30 times and by the time you’re done, you’ll realize that most of your anger has simply melted away or at least you've calmed down a lot. Or a ride, or a jog or whatever it is that helps you get out of the environment you’re in. Physical activities help you get rid of pent up negative emotions easily, thus dissipating your anger. You can even go to the gym, nearest swimming pool or taekwondo classes to work on how to stop being angry. So, it rained on an important date and now you’re stuck at home. Boo hoo. Guess what? Life isn’t always going to happen according to your convenience, and the sooner you accept that fact, the better it’s going to be for you. Plus, what’s the alternative? Getting angry? And then what? Is it gonna stop the rains? No. Then stop behaving like an impetuous child. Look at your watch or get your phone out of your pocket and look at the stop watch. Let 30 seconds pass by. You’ll find that most of your anger will be dissolved and now, you don’t feel like getting in your confrontational mode. This is one sense of yours that’s highly underrated. If you’re at home and see something on the TV or internet that aggravates you, then instead of getting angry, get up, go to your cupboard and bring out your fav perfume and spry a little of it on yourself. You will feel instantly better. You can also use scented candles, essential oils, or even incense sticks for the same purpose. You know the easiest way on how to stop being angry? By doing exactly the opposite of anger – laugh! Just go to YouTube and search for funny videos. Now these could be cat videos, late night shows, fashion fails, blooper reels or even standup comedy shows – whatever floats you boat! And then, laugh! It’s impossible to remain angry if you’re laughing, you know. It’s painful, but that’s kinda the point. Every time you feel anger or frustration rising up inside your body, snap that band. That pain is immediately going to shake you out of your funk and if it doesn’t, keep snapping the band till it does. Again, shut off the world by listening to some soothing, calm music. Not in the mood? Then just hop on over to the internet or various music apps and check out what they have to offer you! Server responsed at: 04/25/2019 2:14 p.m.